Hi All! It’s been a little over a week since my surgery and my incisions are healing well. I also feel pretty darn good! I have a follow up with my oncologist and then with my surgeon on Monday and I will find out then what my next step is. For now, it’s healing time! As I begin this post I’m looking out our windows that open up to the Gulf of Mexico and see a vast sea of glistening water moving quickly from the east towards the west. It’s a beautiful 80-degree, sunny fall day and I feel blessed. I cannot put words to how peaceful and serene this moment is, but I feel overwhelmed with gratitude. Being here has really changed my life and has been extremely healing. Ever since I was a little girl I have dreamed of living at the beach. My family went to the beach practically every weekend when I was a child living back in California, and I fell in love with the ocean at a very early age. I would lay on the beach and daydream for hours about the life I would live when I grew older. It’s cool to see that now those dreams have come true! Yes, there have been a lot of contrasting situations and trials that have been lived as well, but I’m here to say “DON’T STOP DREAMING”! Dreams do come true! 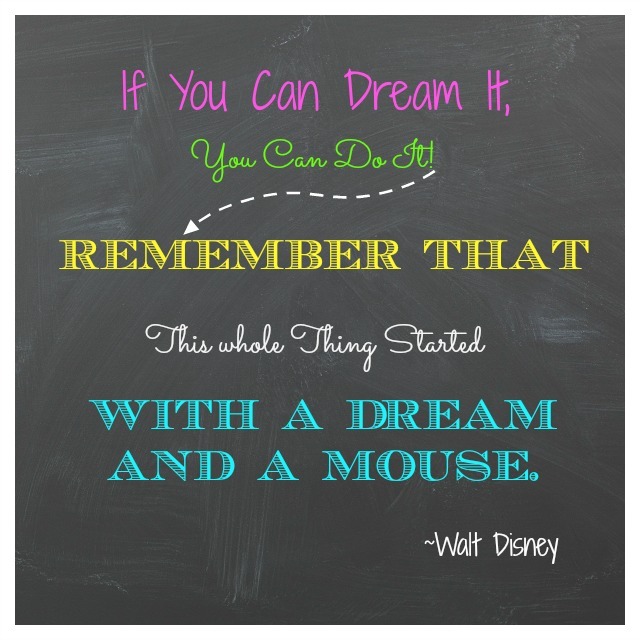 One of my favorite people of all time is Walt Disney. He had a vision of this mouse coming to life and creating magic for people, a vision that was laughed at by many. But he never wavered and look at what his vision and faith accomplished! Yes, vision, faith and passion is what he had and those are the key ingredients to success and happiness. Let me put it more simply, deciding what you want out of life and who you want to be is the first step towards making your dreams come true. Yes, you get to decide! The second step is faith and that is belief that it’s already a done deal. You can see the vision accomplished already in your mind. The last step is feeling gratitude and all things good regarding whatever it is your striving for. So why am I sharing this? Well, because this is what I practice now and I have never been happier! Even as I have been going through this seemingly negative situation, I can find nothing but good all around me. I’m seeing my dreams unfold daily and I want the same for everyone I know. So if somehow I can reach even one person with this message then I have lived another one of my dreams. The most important thing I have learned though, in order for those dreams to come true you have to get all of the crappy thoughts out of your mind, completely! Then you need to train your brain to focus on the good in life. Negative continues to breed negative. It’s a law of nature. The same law applies towards the positive. You choose which is better. I want to share with you all 5 steps that I began doing daily over a year ago that changed my perspective on life and got my thought process on the right track and it only took about 15 minutes a day! Many books that I had been reading at the time inspired these 5 steps that truly made a difference for me. 1. First thing every morning write down 3 things you are grateful for. Anything, and make it something new each day. This helps to discipline your brain towards looking for the positive. 2. Write about a positive experience you had the day before. Make it brief but try to include as many details as you can. This also helps to discipline the mind towards looking for the good. 3. Do a random act of kindness each day and try to make a difference in someone’s life. It can be as simple as letting someone go in front of you while you're checking out at the store or sending someone an email just to tell him or her know how amazing they are. This forces you to look for the good and share it with others. 4. Meditate! I know, many of you automatically think about sitting Indian style on the floor for an hour saying OM over and over again, but no, that’s not what I’m talking about (though that is one form of meditating). I’m talking about taking 10 minutes out of your day to just sit quietly and quiet your mind. Once you can learn to quiet your mind you can then start quieting those negative thoughts that like to bombard us day in and day out. 5. The last thing I found super important was to do something active for at least 20 minutes each day. A quick walk, a ride on a bike or just breaking out some hand weights for 20 minutes works. Just find something to do. Activity strengthens the body, mind and soul! These five steps took me from living in a negative world to loving living in an amazing world! I would love to hear from you, comments are always appreciated! And most of all, I appreciate all of the good thoughts, prayers and love you all have shared with me. I will let you all know next week what my docs say regarding my status. *I was inspired to write this blog post due to a dear friend who is going through some really tough stuff. Love you girl! You got this!